A surprising find under what used to be America’s most notorious prison: Texas A&M researchers using ground-penetrating radar have discovered the remains of an old military fortress long believed to have been completely destroyed, reports the BBC . The San Francisco Bay island was once the home of Fort Alcatraz, built upon the discovery of gold in the area and transformed into a line of defense during the Civil War. The fort never fired a shot during the war, though it did house Confederate sympathizers jailed for denouncing the federal government. The radar has revealed old fortifications along with buried magazine buildings and tunnels dating from long before the main prison building was erected in 1915. 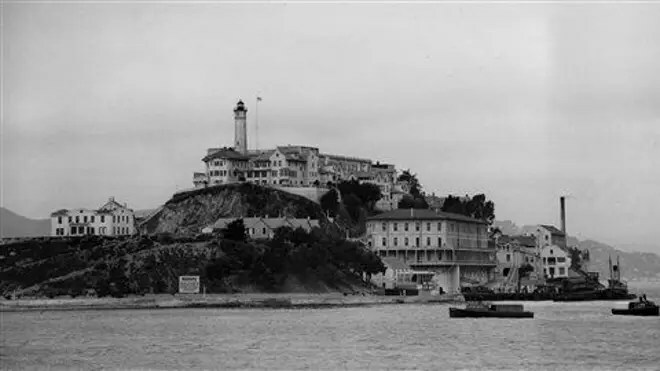 “From 1850 to 1907 was the era of Fortress Alcatraz,” explains Texas A&M professor of geology and geophysics Mark Everett. Much of the remaining fortress is inaccessible under prison buildings, but archeologists hope to start excavations soon on what they believe is an important find under the prison’s parade ground. “It is called a caponier, and it is a large structure that juts out into the bay and provides defensive cover. We have seen it in the old photographs but it has completely disappeared from present view,” says Everett. He told the Houston Chronicle last month that the National Park Service had asked his team to search for Civil War-era structures at the site, using equipment that scans under the earth in a way “similar to the way people look for oil deposits.” One other find of note: what is believed to be some of the oldest concrete in the US, which was likely imported from Europe.